Last time I tried to grow these, I got a few spindly stalks with hardly anything on them. Which means, this year I totally underestimated how far apart I should plant and now I have a waist high jungle of thick, thick plants with hardly a size 5 footprint anywhere for me to reach the middle for picking flowers. I’ve taken to wearing my Fivefingers, to make the footprint smaller than a pair of Crocs (I apologize to those of you who are fashion conscious, but they DO work well for zipping in and out of the house all day). And I’ll have enough to conduct a series of tests, as I’ve heard a rumour they are pH sensitive. 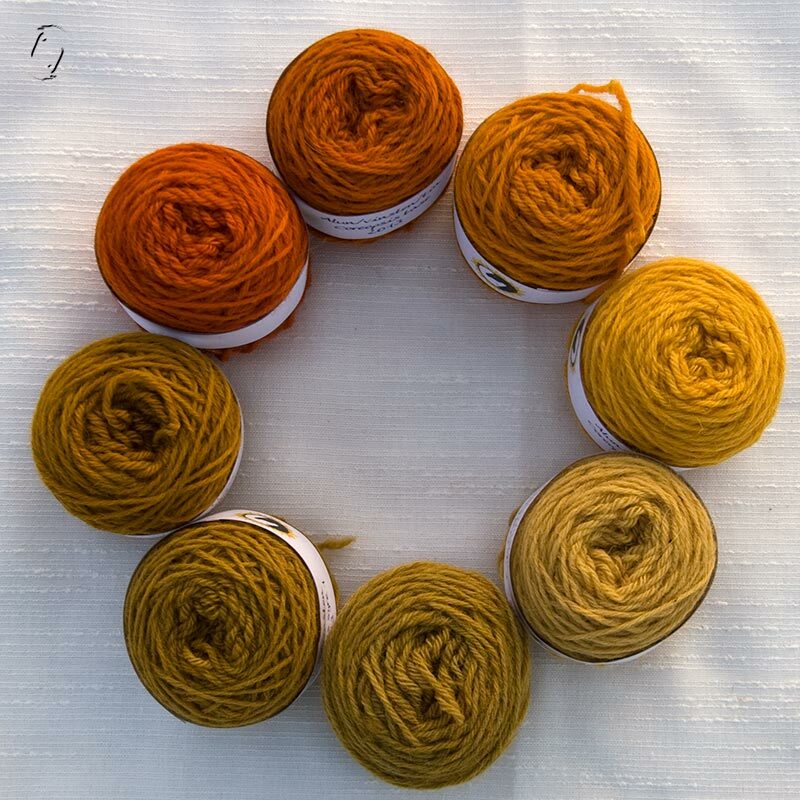 If you just want a regular yellow, you need less than half your yarnweight in flowers, or you can start with plenty and dye one skein at a time from orange over turmeric to sunny yellow until it exhausts. 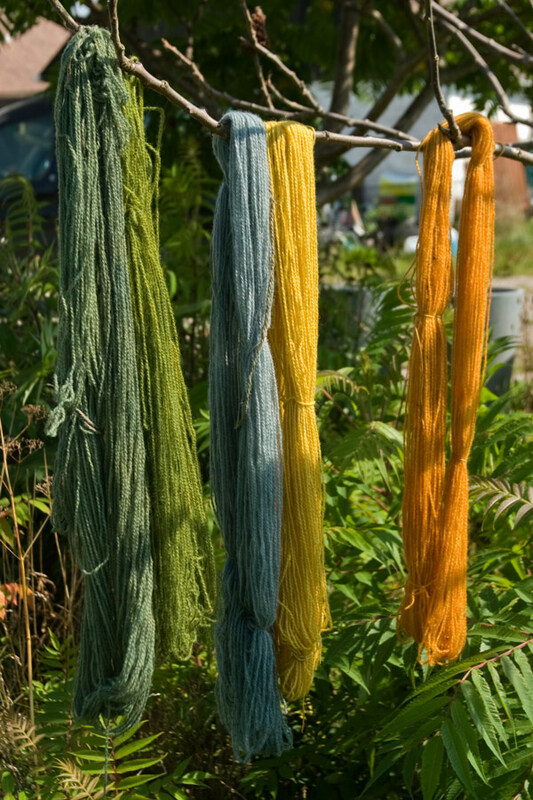 It also doesn’t need a lot of heat once the dye is extracted from the flowers, it’s excellent for solar dyeing and on silk. Coreopsis tinctoria er rigtig god at lege med fordi man kan få så mange forskellige nuancer. Hvis man starter med et kraftigt farvebad og kommer 1 fed i af gangen, kan man få fra kraftig orange over gurkemeje-gylden til frisk solgul. I år ville jeg så også lige teste påstande om at den er pH følsom, rød fra basisk farvebad og gul fra surt. Det blev en helt anden slags gul end ellers, og pga en fejl fra min side (manglende base) lavede jeg også lige en variant med kobber. 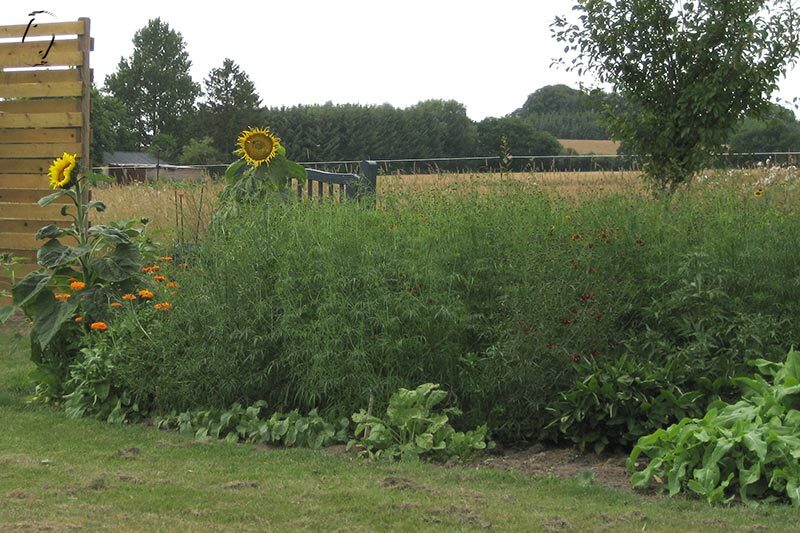 Der skal meget lidt blomst til, til alm gul behøver man mindre end halvdelen af garnvægten. Også flot på silke og god at solfarve med. Jeg øver mig virkelig på gul og har efterhånden nogle nuancer jeg holder af. Og så vil jeg meget gerne høre om dine øvelser med gul forresten. they make such lovely dye colours ! 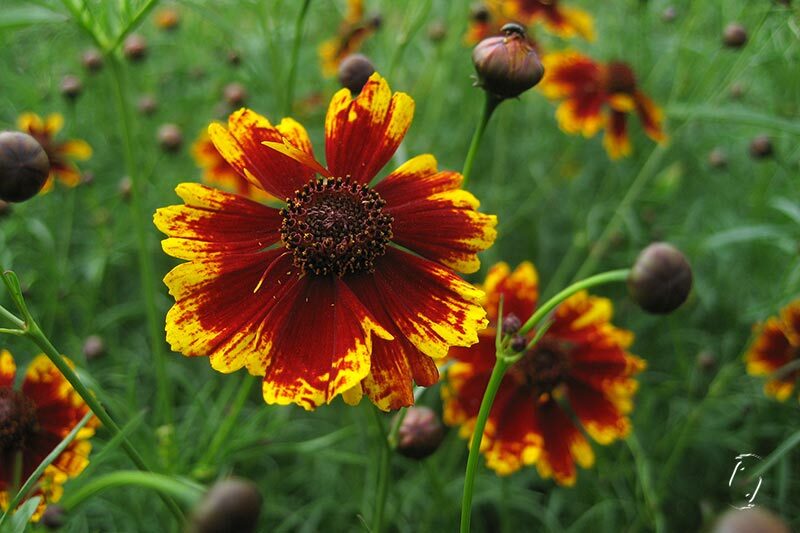 as well as being such pretty flowers ..
Q – Love coreopsis. Have quite a few plants need to try this. Beautiful colors. I was actually thinking of you and your quest for red! So many beautiful flowers and such gorgeous yellows. 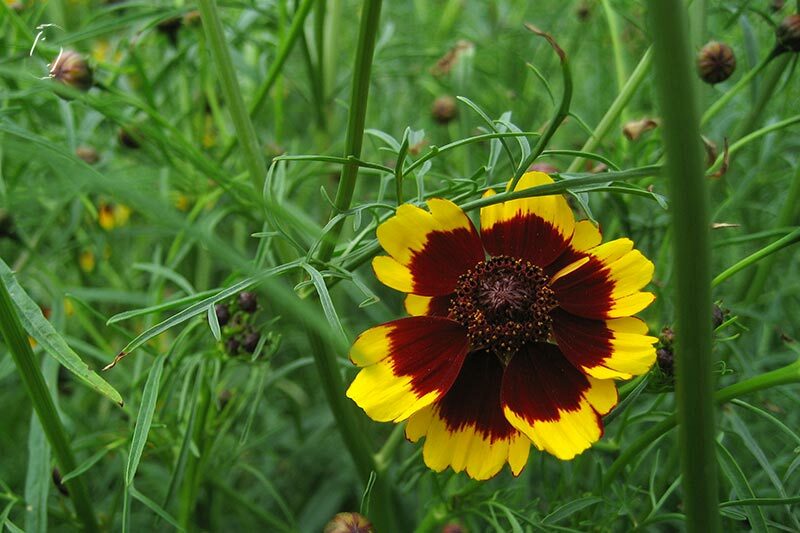 I planted some coreopsis in my new dye garden this year and not a single plant grew. 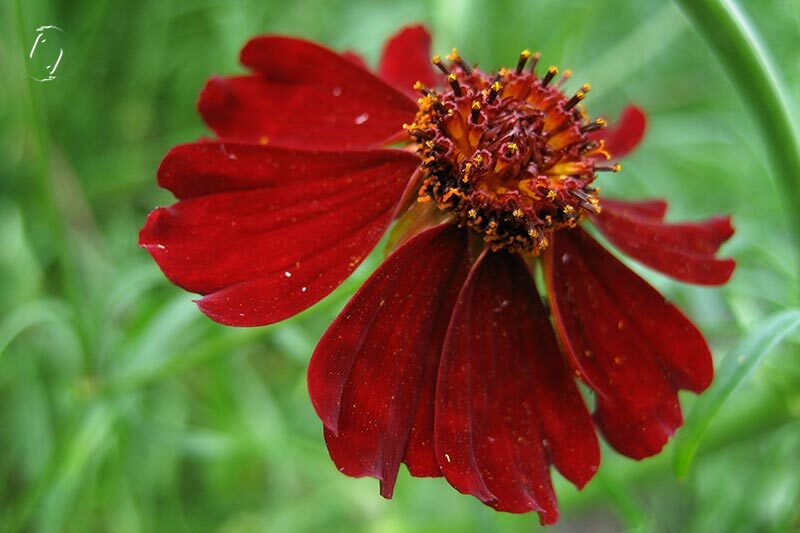 But I have chocolate cosmos so I shall be experimenting with that to see if it works! The first ones I had which didn’t grow, were sown directly, this year I cultivated them indoors in the contraption we made for the window and I think all the seeds germinated! I’d love to see what you get with cosmos. Such gorgeous yellows, so rich! …but isn’t that always the way with plants! Well, some are more tedious than others, but they’re not as fun to show off. I think if I have the energy I’ll try to make some watercolour washes on paper with these. 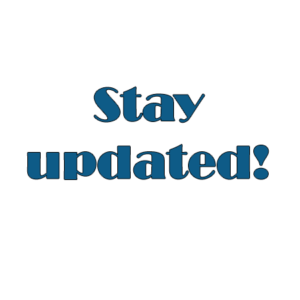 Just to use for backgrounds to start with, to see how it holds up. Jeg fik en samling ret billige 25 g fed på et tidspunkt og købte stort ind.